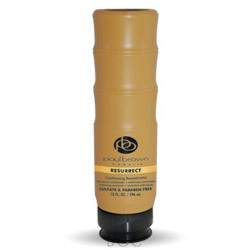 Designed to provide light to medium hold finish for any hair style. Natural ingredients help prevent damage from environmental factors. Infused with flower and plant extracts from the sea. For sculpting, molding, chunking, spiking. Work a small amount through dry hair and style. Stay Straight, Anti-Frizz Molding Creme 6 oz. Stay Straight 6 oz., Conditions as it holds even in high humidity. Moisture barriers keep hair from curling up or frizzing out even on the longest high humidity days. Keeps style straight and shiny. Ideal for multi-cultural hair types. Alani Sport Weightless Revitalizing Rinse 6 oz. - Other sizes/options. Alani Moisture Rinse, Alani means orange blossom,instantly detangles hair,leaves hair with a citrus fresh shining compact cuticle. Alani Sport Weightless Revitalizing Rinse 33 0z. - Other sizes/options. Alani Moisture Rinse - Alani means orange blossom, instantly detangles hair, leaves hair with a citrus fresh shining compact cuticle. 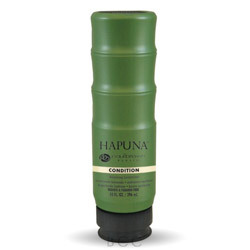 The Hapuna Cleanse and Conditioning System maintains, protects and keeps hair and scalp in perfect balance. Uses extracts from sea flowers and plants. No build up. Beautiful, healthy hair. Kukui Nut Hot Oil Moisture Replacement Treatment 4 oz. 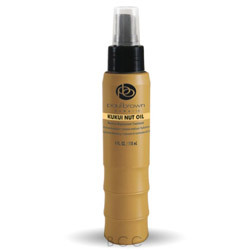 Kukui Nut Hot Oil - Linoleic and linolenic fatty acids replenish luster and elasticity to dry hair. Non-Greasy, replaces moisture without lifting hair color. Puts luster back into dry brittle hair. Resurrect, Kukui Nut Oil and Protein Flora Complex penetrate the hair shaft and minimize moisture evaporation while nuturing the hairs structural integrity, rebuilds hair with intensity, leaving it strengthened, protected and voluminous without feeling coated. Stay Straight Anti-Frizz Smoothing Conditioner 9 fl. oz. - Other sizes/options. Stay Straight Smoothing Conditioner, 9 fl. oz., Was formulated to help smooth curls and frizz, contains natural Hawaiian Protein Formula Complex and natural plant emollients which condition hair and control frizz. Stay Straight Anti-Frizz Smoothing Conditioner 33 fl. oz. - Other sizes/options. With Kukui Nut Lipids. Helps smooth curls and control frizz. Contains natural Hawaiian Protein Formula Complex and natural plant emollients which condition hair and control frizz. Hair at Rest Two 6 fl. oz. Bottles This item is BACKORDERED from the manufacturer. Treat Elite Leave In Kertin 33 fl. oz. 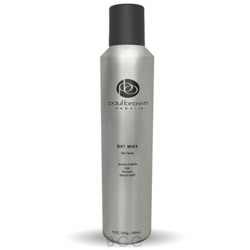 Dry Mist Hair Spray 9 fl. oz. Dry Mist Hair Spray - A fine hair control mist which is brushable for instant restyling. 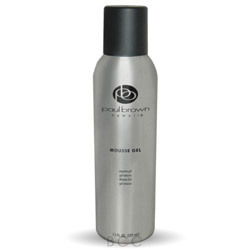 Mousse Gel, Non-Aerosol 7.5 oz This item is BACKORDERED from the manufacturer. Mousse Gel is ecologically safe and gentle on the hair. Formulated with Hawaiian Protein Flora Complex, which includes pure hawaiian botanicals, kukui nut oil and is alcohol free! Style, support and conditioned shine are provided without harmful aerosols. 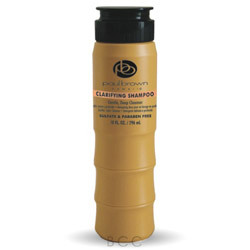 Clarifying Shampoo, Gentle Deep Cleansing 9 fl. oz. 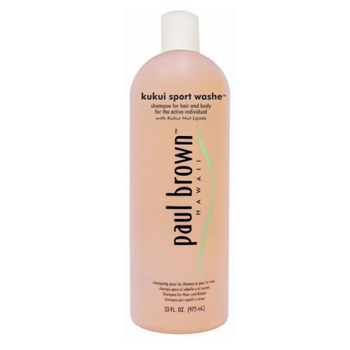 A thorough cleansing shampoo that removes residue, including chlorine from swimming pools. Prevents off casts and problems that impede the hairs natural shine, health and vitality. 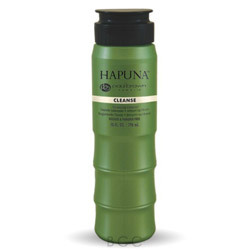 Hapuna Cleanse was designed to cleanse and condition hair using sea flowers and plant extracts. Kukui Sport Washe 6.8 fl. oz. - Other sizes/options. This hair and body shampoo is great for active people. Cleans hair, but is gentle enough for skin. With a fresh minty fragrance. Kukui Sport Washe 33 oz. - Other sizes/options. Stay Straight Anti-Frizz Smoothing Shampoo 9 fl. oz. - Other sizes/options. Formulated to help smooth curls and frizz while adding shine. Contains natural Hawaiian Protein Flora Complex and plant emollients which control frizz while improving condition of hair. Stay Straight Anti-Frizz Smoothing Shampoo 33 fl. oz. - Other sizes/options. With Kukui Nut Lipids. Help smooth curls and frizz while adding shine. Washe Elite 10 fl. oz. 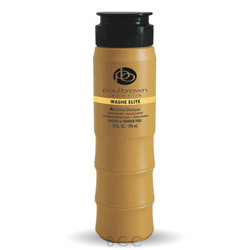 Washe Elite was formulated to nurture and enhance abused hair. Hawaiian Protein Flora Complex and Kukui Nut Oil work to refine and restore the hairs natural brilliance and facilitate styling versatility. The highly unsaturated oils of the Kukui Nut are easily absorbed into the hair, imparting a soft luster without allowing build-up to weigh down the hair. 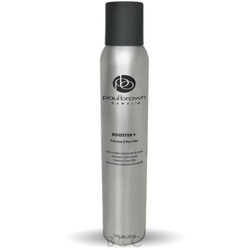 Booster+ - Gives lift and control while creating volume and flexibility, it also protects hair from thermal abuse and heat damage. A hair cuticle sealer that adds luster with a diamond-like radiance. Diamond Heads Cuticle Sealer uses essential fatty acids from Kukui Nut Oil ... 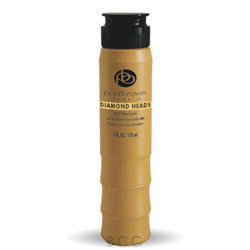 Formulated by Paul Brown in Hawaii, Diamond Heads can physically seal the outer layer of the hair shaft. Passion Shine Gel 6.8 fl. oz. This item is BACKORDERED from the manufacturer. Passion Shine Gel 6oz.,a texturizing gel controls frizzy unmanageable hair while allowing for a flexible hold. 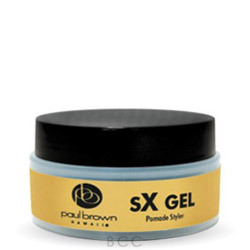 sX Gel Pomade 1.8 oz This item is DISCONTINUED by the manufacturer. Super Styling pomade for creating smooth, slick, shiny styles Hair Pomade for smooth, slick, shiny styles. SX Gel is great for molding, sculpting, and removing frizz.